The liquid car air purifiers and air fresheners with efficient fragrance performance are available in bottles of different size filled with a liquid aromatic substance. 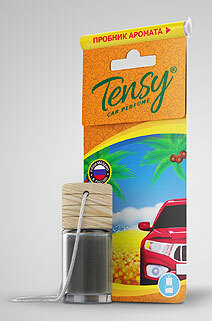 The liquid gradually evaporates or is sprayed and fills the interior of the car with a pleasant aroma. The advantage of our liquid flavors is resistance to low temperatures. But you need to be careful to prevent the liquid from getting into the interior of the cabin. Keep it out of reach of children and pets.